China’s Trade Data Drags Stock Futures Ahead Of Citi Results. 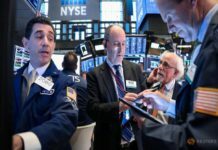 U.S. stock futures dropped on Monday, after data showed China’s exports unexpectedly shrank the most in two years, raising fears of a sharper slowdown in global economic growth and its impact on corporate profits. 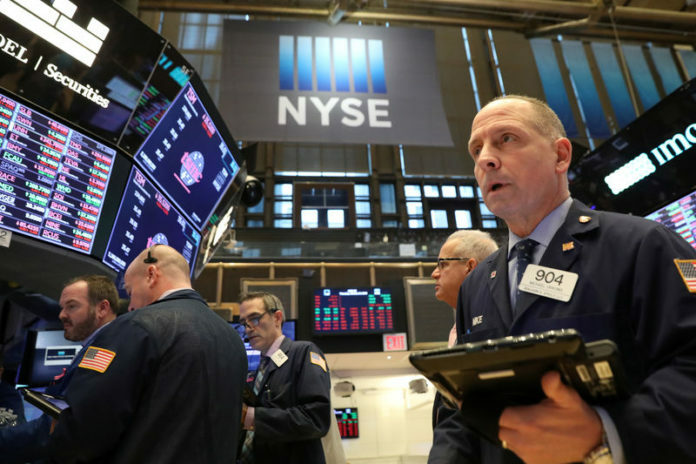 About 35 S&P 500 companies are expected to report quarterly results this week, kicking off the fourth-quarter earnings season. Citigroup Inc (C.N), which is due to report results before the bell, was trading flat. Sentiment took a hit as dismal December trade readings from China reinforced concerns that U.S. tariffs on Chinese goods are taking a toll on the world’s second-largest economy, prompting profit warning from companies such as Apple Inc (AAPL.O). Data also showed China posted its biggest trade surplus with the United States on record in 2018 that could prompt President Donald Trump to turn up the heat on Beijing in their bitter trade dispute. 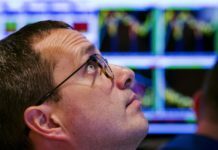 “If you ever need any evidence that how the trade spat can impact the country’s economic health then this number is clearly a major factor here,” said Naeem Aslam, chief market analyst at Think Markets UK Ltd in London. U.S.-listed shares of Chinese companies fell in premarket trading, with JD.com Inc (JD.O) and Alibaba Group Holding (BABA.N) down more than 1.5 percent. Chipmakers, which get a large portion of their revenue from China, also tumbled with Advanced Micro Devices Inc (AMD.O) and Micron Technology Inc (MU.O) down more than 2 percent each. At 7:00 a.m. ET, S&P 500 e-minis ESc1 were down 0.83 percent. Dow e-minis 1YMc1 were down 0.8 percent while Nasdaq 100 e-minis NQc1 were down 1.08 percent. Members of the FAANG group of stocks slid between 1 percent and 2 percent, led by Netflix Inc (NFLX.O), which is set to report its fourth-quarter numbers on Thursday. 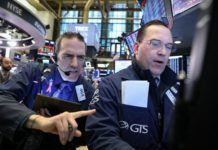 Analysts expect S&P 500 companies to post a 14.5 percent growth in fourth-quarter earnings, according to IBES data from Refinitiv. Profit for 2019 is likely to increase by 6.4 percent this year, much slower than 23.5 percent growth in 2018. Still, optimism over China-U.S trade and hopes of a slow pace of interest rate hikes from the U.S. Federal Reserve has fueled a strong run in stocks recently, pulling the S&P 500 .SPX 10 percent higher from its 20-month low hit on Christmas Eve. The benchmark index is 12.9 percent away from its Sept 20 closing high. Among other early movers, PG&E Corp (PCG.N) plunged 50.8 percent after the company said it was preparing to file for Chapter 11 bankruptcy for all of its businesses, amid pressure it faces from potentially crushing liabilities linked to catastrophic wildfires.